I was on vacation in a small seaside town in Spain, with a beautiful beach promenade. I really wanted to rent a bike but the good old googling didn’t return any meaningful results. When I finally made it to the tourist office and they provided me with an address of a bike rental shop, I still didn’t get lucky. I dropped in when they had their siesta break (from 1 to 4 pm!). So, when Anton Shreider, the CEO and founder of Bikesbooking.com, shared the news about his startup, I could only support it. 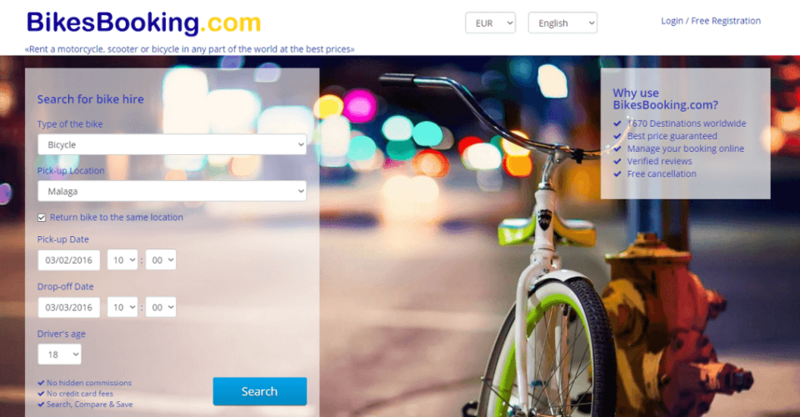 In fact, nowadays there’re online marketplaces that cover pretty much all major needs of travelers: booking a flight, reserving a place to stay, renting a car, and since recently even hiring a local photographer via Pinpic.com, a startup founded by a Canadian, but developed in Romania. So, Anton and his team saw the market opportunity and started BikesBooking.com. The main idea behind the service is to let people compare offers and easily book bikes, scooters, motorcycles, and even ATVs any time and anywhere. At the moment, the inventory is represented by rental companies, but the startup is planning to add a peer-to-peer lending option in the near future. They started first in Russia, and then moved to Dublin to expand in Europe and to knit partnerships with other travel companies. In the end of June, the startup raised a pre-seed round of €50K (at €500K valuation) in return for 10% equity from the Irish government through Entreprise Ireland program. They will use this money to test more customer acquisition channels and new hypothesis, continue customer development and improve the product. If the startup attains certain KPIs in Europe and Asia, they are planning to raise a seed round early next year, and to launch the product in the USA and Latin America. Four members of the team come from Russia, and two developers are based there, while the CEO and the CMO moved to Dublin where the operational office is located. The startup also employs 3 interns from Spain, France and Italy to sign up rental companies on the platform. Within 8 months, the team moved from idea to the already working service, with paying users and 3,500 vehicles available in about 100 cities. Around 600 rental companies from 41 countries signed up on the platform. We had a short interview with Anton about BikesBooking and its operation. GE: You are planning to let locals rent their two-wheeled friends. How will you handle damage/stolen bikes? Also, how will you prevent an unfair behavior from bikes owners falsely claiming a deposit/insurance? Anton: All claims for damage must include photo evidence while all claims for a stolen bike must be accompanied by a police report, so we think nobody will try to use it as a way to receive a new bike from us. Since we haven’t launched the P2P renting yet, currently we can’t say exactly how the insurance will work. We will be launching the P2P lending before the end of 2016, and we will be announcing our insurance partner. GE: How are you planning to promote the service both among bike lenders and customers? do you already have any partnerships? Anton: To attract customers, we use such marketing channels as contextual and targeted ads, social networks, mentions and posts in travel blogs. We will launch an API and an affiliate program in July, so any bike and travel-related websites will be able to earn money with us. We also talked tp one car rental booking website and a popular hotel booking website, and we will be announcing these partnerships soon. Regarding the lenders, currently we work only with rental companies, it’s easy to reach them by phone, but when we will launch P2P renting, we will use the same marketing channels as we use on b2c market. Our aim is to create a worldwide community of bike and moto riders and travelers. GE: How does your monetization works? Anton: We work the same way as all other booking services – we charge a commission for every booking a rental company receives from us. No extra costs for our customers. We guarantee the best available prices and usually it’s cheaper to rent a bike on our website than on arrival, since we have special offers. GE: Is there a story how the idea of the startup came to your mind? What did the founders do before launching the bike renting marketplace? A: Of course, as in many successful startup stories, the idea of the startup came to minds of friends when they encountered a problem themselves. 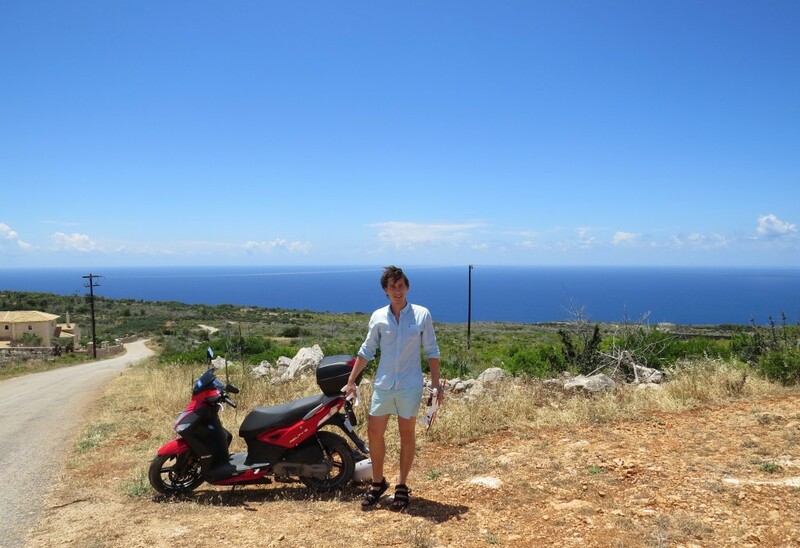 We tried to rent online a motorcycle in Greece, but it was difficult as some websites didn’t even show emails, so we couldn’t book it in advance. Others didn’t have any reviews nor real photos of vehicles. We made a quick analysis of the market and decided to create our company as we all liked bikes and traveling. And the fact that that we will be soon using our own service inspired us. Prior to BikesBooking.com, I already had an experience building two projects. During my freshman year at the university, I launched a p2p service for renting things. Then O built a metasearch for courier services, so in the new company I took over everything related to operations, partner relations, financial questions and product development. Tatiana Skorniakova is the CMO at BikesBooking.com, and she had experience in Marketing Research Laboratory in Moscow, and she is responsible for customer acquisition and marketing strategy.